Auto reply from Outlook: how does it work? 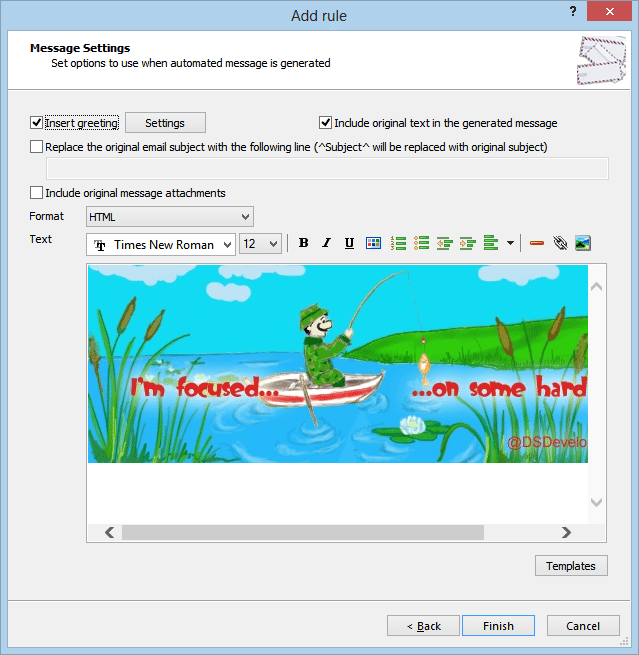 To put it simple, Auto Reply Manager is an Outlook add-in that lets you setup & send Outlook auto reply email messages. 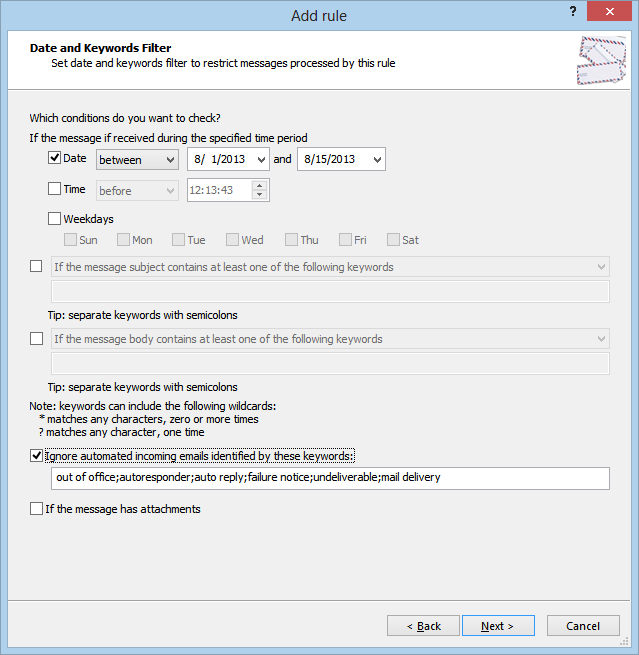 Outlook will send the auto reply emails on your behalf, when a received email matches one of your auto reply rules. For each rule, you can define lots of auto reply options, but we will detail them later in this article. Now you can define your auto reply Outlook options. If you want to auto reply to all incoming emails, simply click on the Add button and choose “Create a simple rule” then enter the auto reply text. 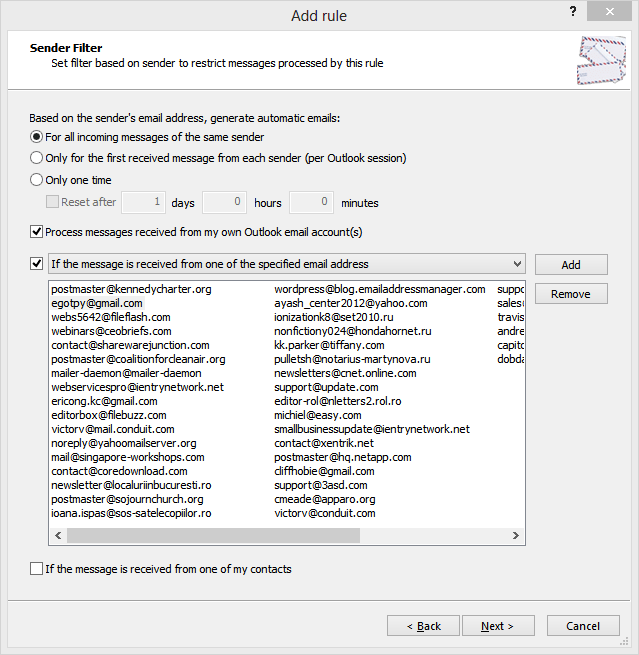 If you want to customize your auto reply Outlook options, choose “Create customized rules” and follow the steps described below. For example, let’s say you want to create a vacation auto reply (“out of office”) for your business email account, so Outlook will auto reply to all emails received on your business email address, with a certain auto reply email, during a specified period of time. 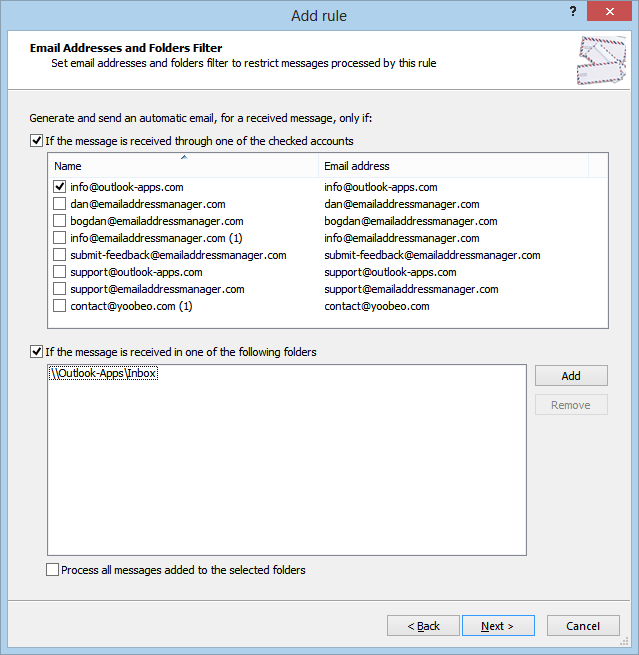 – auto reply only to emails received with file attachments. – add tracking IDs to the your replies. 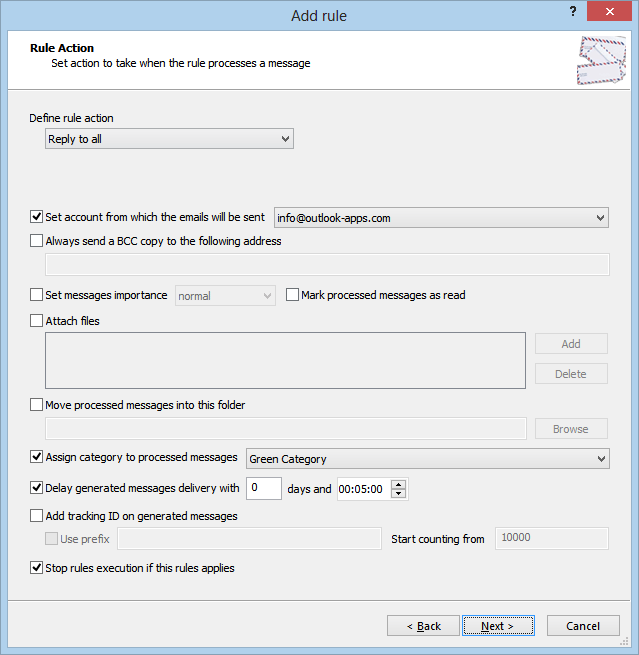 Auto Reply Manager provides the most comprehensive auto reply features for Outlook emails. Just give it a try and you will love it!